I added descriptions, so may I have another entry, please? slbrabham and summerskin like this. I added the pics to my post. Updated as to here and new prizes added. 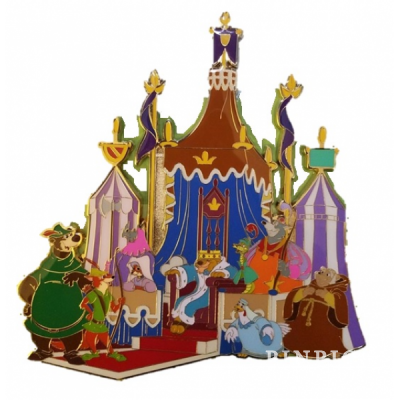 If we can get to 15 entrants, I'll reach into my newly arrived stash and pull out a big head from the most recent release/Sleeping Beauty WDI Anniversary and add another winner. mickeymousje, slbrabham, watzshakinbacon and 2 others like this. This was so much fun to look for pins. 1. 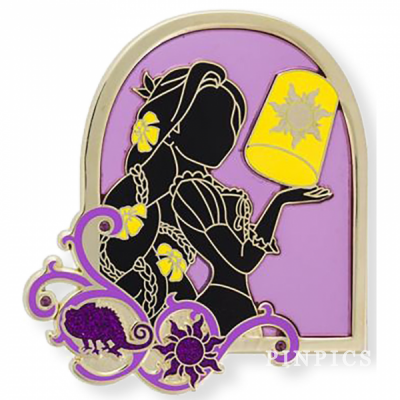 The dole whip pin from the Kingdom of Cute mystery box set is a favorite because it’s dole whip, and it’s cute. 2. 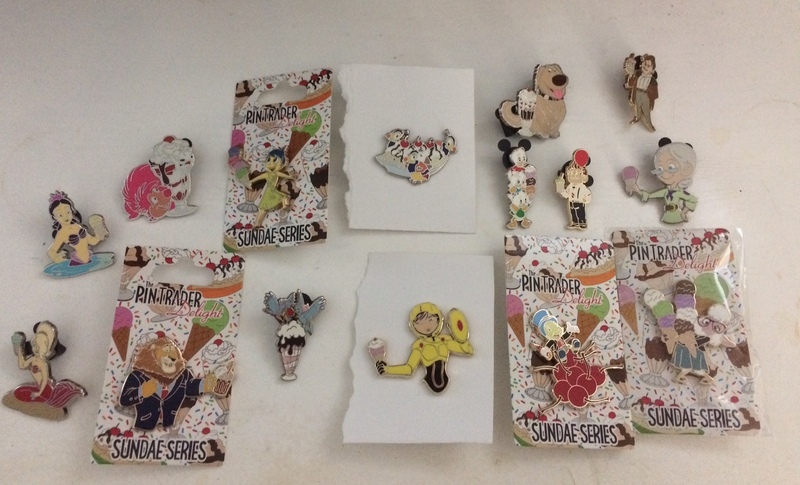 Favorite mystery bag pin is the Mickey ice cream bar completer. I was so excited to get a completer pin. 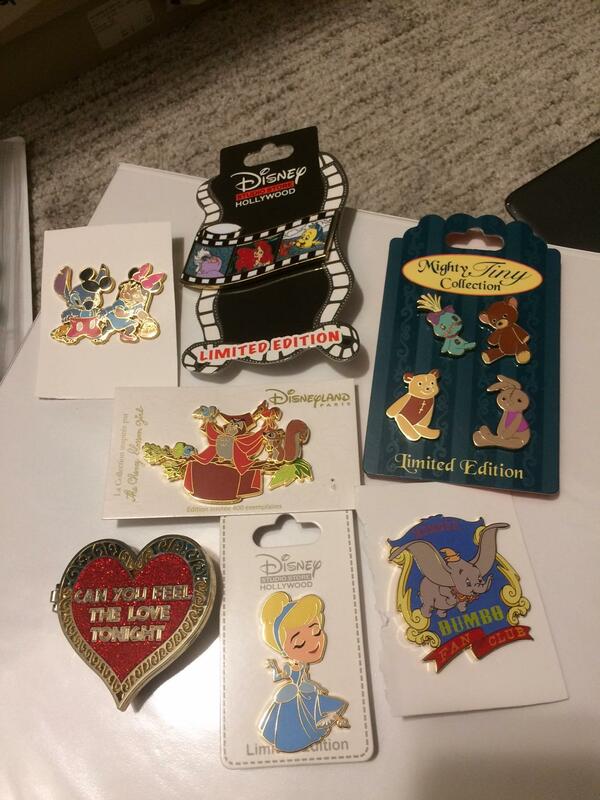 It goes into my Mickey icon side collection. 3. 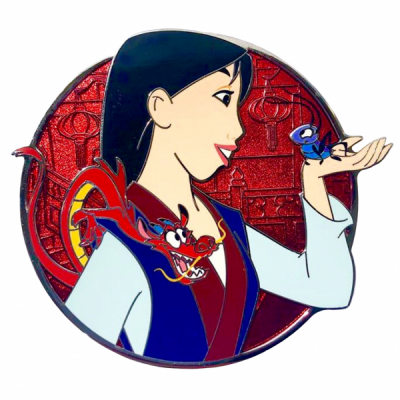 Favorite pin gifted to me is the Aladdin/Jasmine pin. One of my Disney girls gave it to me when she found out I’m making an Aladdin lanyard. Just need a few more pins. 4. 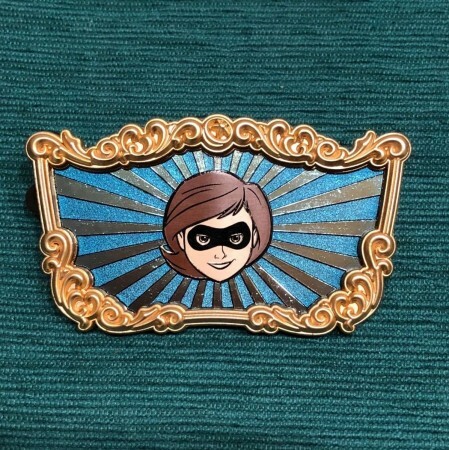 Flynn profile is the grail pin that I’ll be wearing on my soon to be made Flynn lanyard. Can’t wait to wear it at the parks. 5. 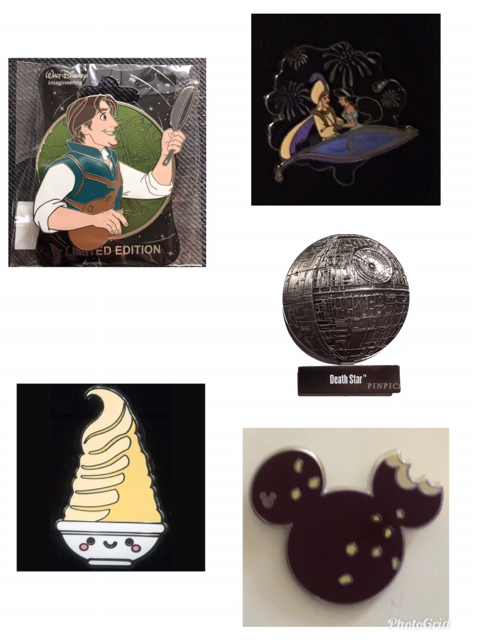 Favorite LE pin is the Death Star. I have a lot of Star Wars pins, and anything Death Star I gaga over. Dark side! 6. 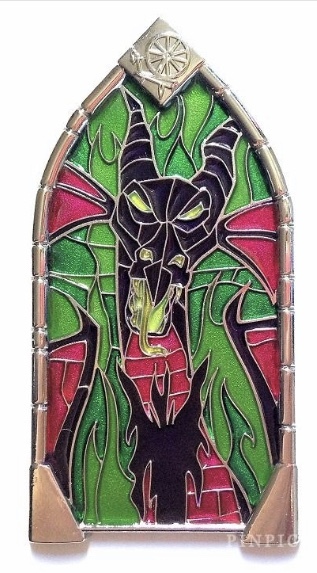 Of course Maleficent window of evil is my favorite pin from a monthly release. She’s my main collection, and her dragon form is my ultimate favorite. 7. Favorite international pin is this Hotel Santa Fe pin because I went to Disneyland Paris for the 1st time last summer and stayed there. Incredible memories! 8. I got most of these Essence of Evil pins as they came out, but for some reason I forgot about a couple. I finally tracked down the last one I needed, Gaston, late last year. 9. I don’t collect princesses. Yet I love macarons. There was a cheap deal for Ariel, and so I started a new small collection of these DLP princesses with macarons. 10. Didn’t I say I love Maleficent as a dragon? This Acme jumbo is my favorite! I had to have it. 11. Marvel is another side collection since I’m a comic book nerd, and I love anything Infinity Gauntlet. 12. 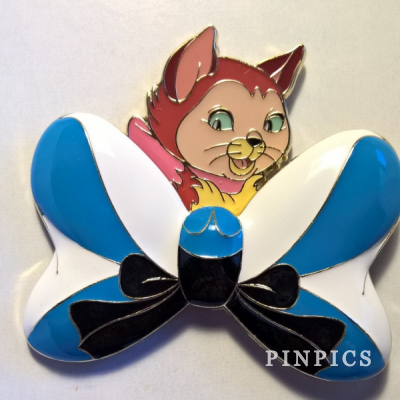 Going with that don’t-collect-princesses mentality, and yet this butterfly pin from the Cinderella live action movie is beautiful, and when I saw a deal, I grabbed it. Ocean7, slbrabham, summerskin and 3 others like this. 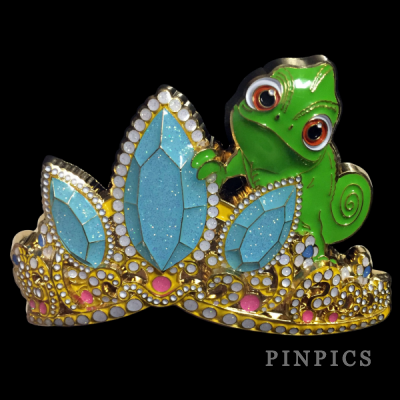 Pin 34260 Arribas Brothers Jeweled Character Pins (Evil Queen), but I had to get the whole villain set (34260 to 34264). Ocean7, cyke23, slbrabham and 4 others like this. 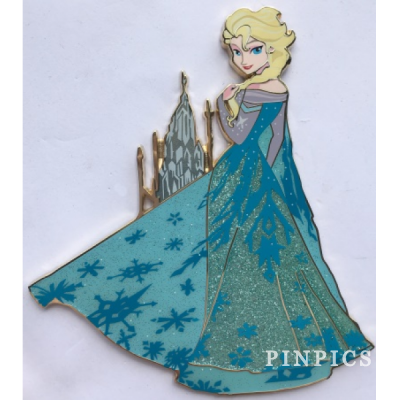 Wow, look at the great pins! Woohoo! Someone else with a pumpkin/jack o lantern collection. summerskin and Booger1964 like this. I grew up on Disney Afternoon, and Rescue Rangers is one of my favorite side collections! 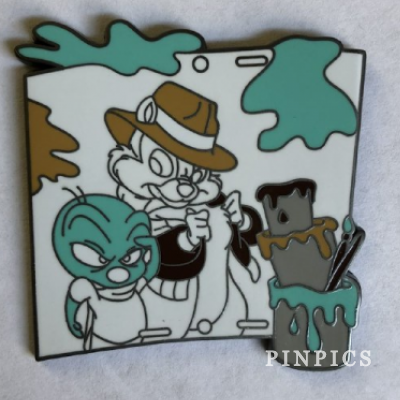 I'm still on the hunt for the other Rescue Rangers pin from this set, but I was excited to pull this one from the two boxes I purchased as I don't often have the best luck with mystery boxes. 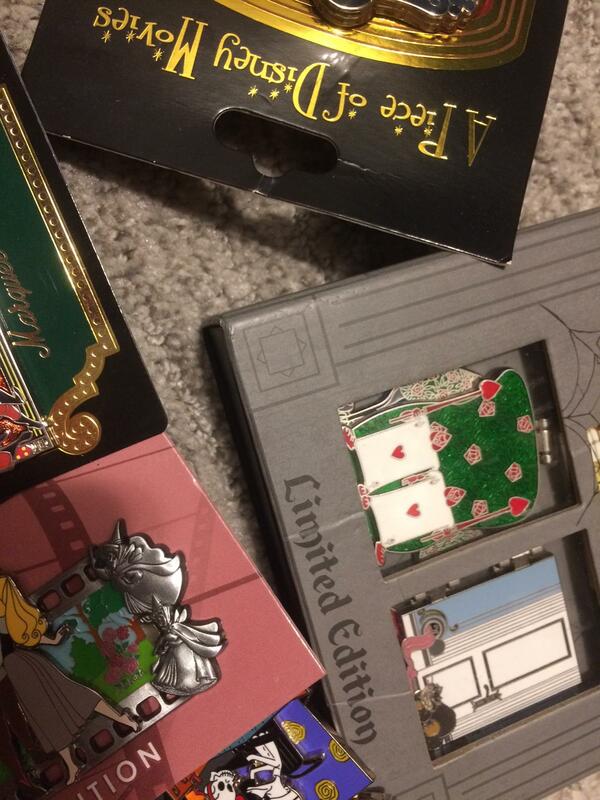 @LittleBird generously gifted this pin to me, which allowed me to finish the Sword in the Stone park pack set. 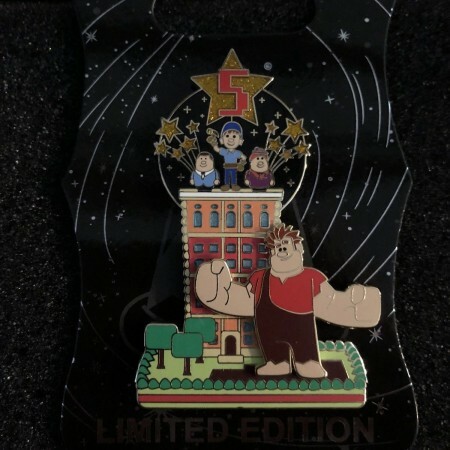 They did SUCH A GOOD JOB with this pin. 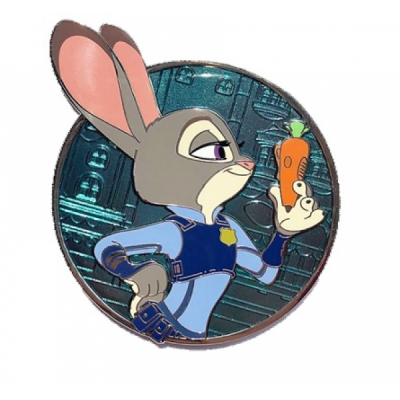 It is so pretty, and her expression is spot on, and I love that it's a unique pose for Judy as the majority of her pins are the same few pieces of artwork. Disney NAILED IT with Robin Hood and Sword in the Stone last year. 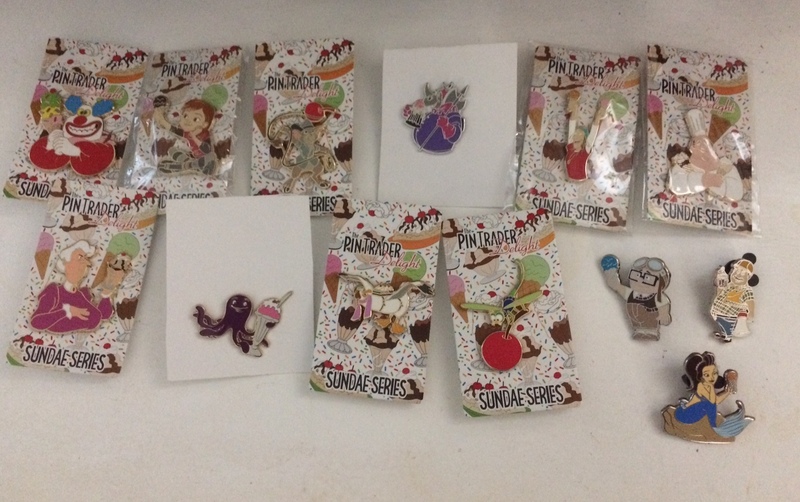 All of the pins came out so pretty and on-point! It's the LE110 version from Japan. Ooh, man! So many awesome sets came out last year! 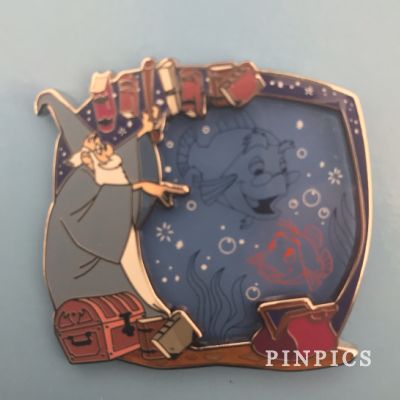 But I have to go with the WDI Wizard's Dual set, for the sheer amount of pins in the set, the size and artwork of the pins themselves, and the fact that it's been my most wanted theme for a set for years! 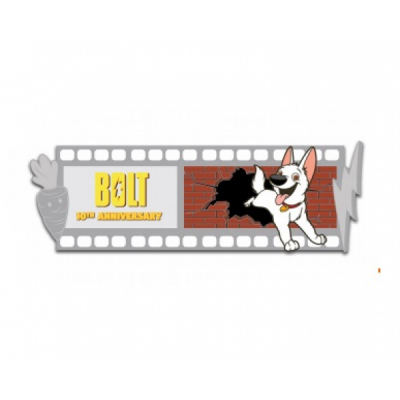 So, I don't consider this starting a new collection persay (I didn't start any new from-scratch collections), but I was able to expand my Bolt collection just a tad outside of PTDs to include Mr. 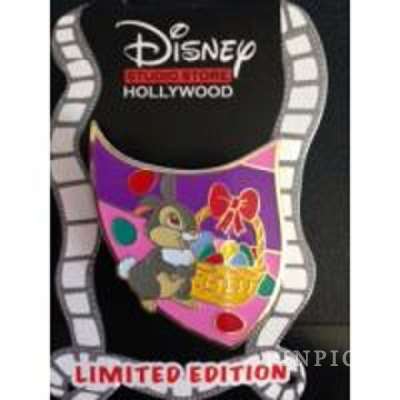 Carrot since they actually made pins with him on it besides just the DLP My Dog series pin. Look at him, all carroty and smiley. The Hero Profile series has been really hit-or-miss IMO, but Robin is one of the really exceptional ones. 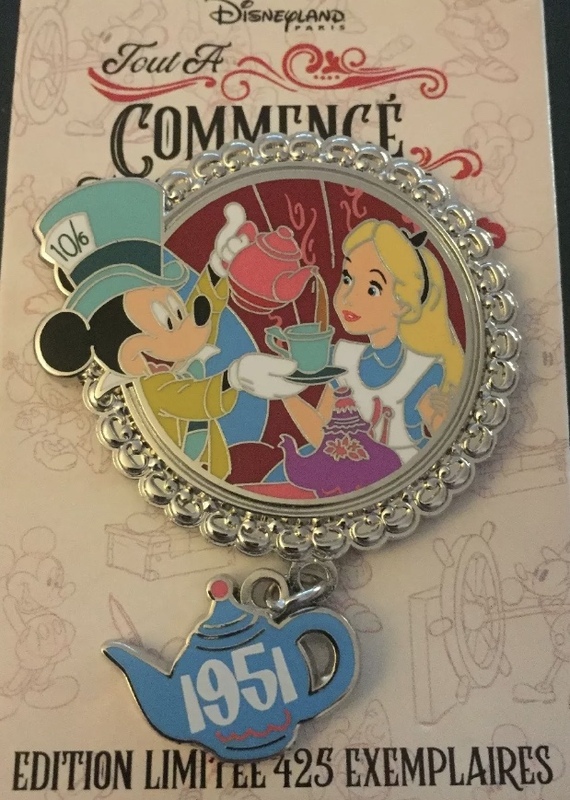 As far as I can remember, I didn't collect any non-collection pins this year, so I'll go with the last one I remember getting, which is from 2017. 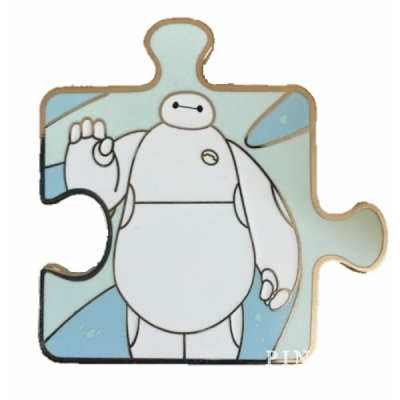 I don't collect anything related to Big Hero 6, but this pin reminded me so much of my nephew (this basically became his catchphrase for months after the movie came out) that I had to get it. Ocean7, cyke23, slbrabham and 2 others like this. I'll be back to post. I may need to use PinPics pictures, but it looks some others have done so as well? Otherwise, I will post my entry on Wednesday morning. @starry_solo and @timeerkat Pinpics pictures of image captures are find for photos. It's more a visual to help us put the pin to the number than it needing to be a specific picture of your pin. starry_solo and timeerkat like this. Perfect, then I can go now! It might just be one to start a collection too, I haven't decided yet. But wait, didn't I already have this one from a trade I did several years ago? Why yes, yes I did and do. So now I have two! Yup, I went with Mickey. One because I got him on the last Saturday of December, so pretty much close to the end of the year! 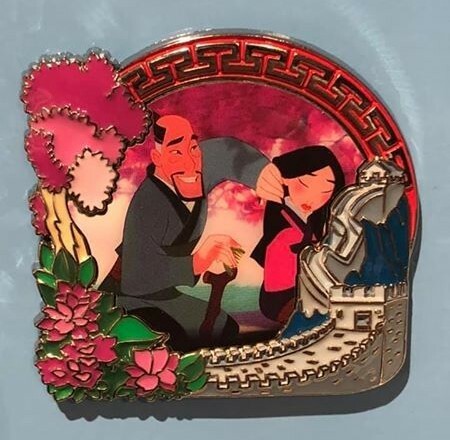 I traded for this pin from a trader who had actually gotten it pretty quickly after it shipped, coming in almost at the end of the year! 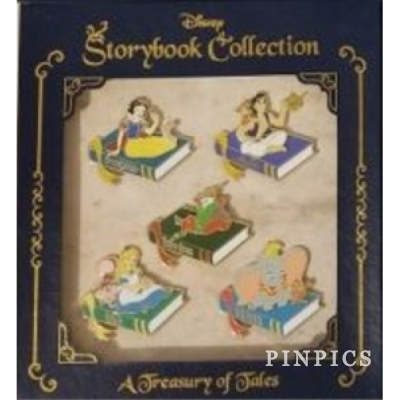 WDI - Storybook Collection - A Treasury of Tales 5 Pin Set x 4. Sis & I saw a great deal on FB. The gal was able to meet us up in person and I think it was less than $100 over retail! So we hopped to it. We like books, it was a good opportunity to get the sets. Started and finished the collection on the same day, lol. My main collection is Mulan. 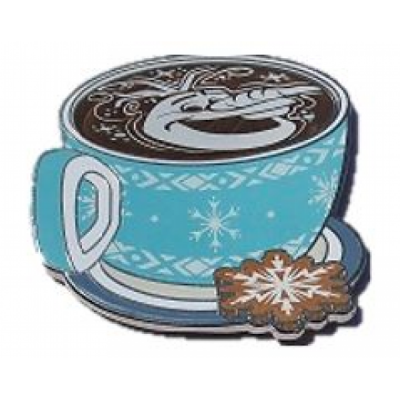 This past year (2018) came out with so many new pins featuring her or other characters, but here's my favorite one. 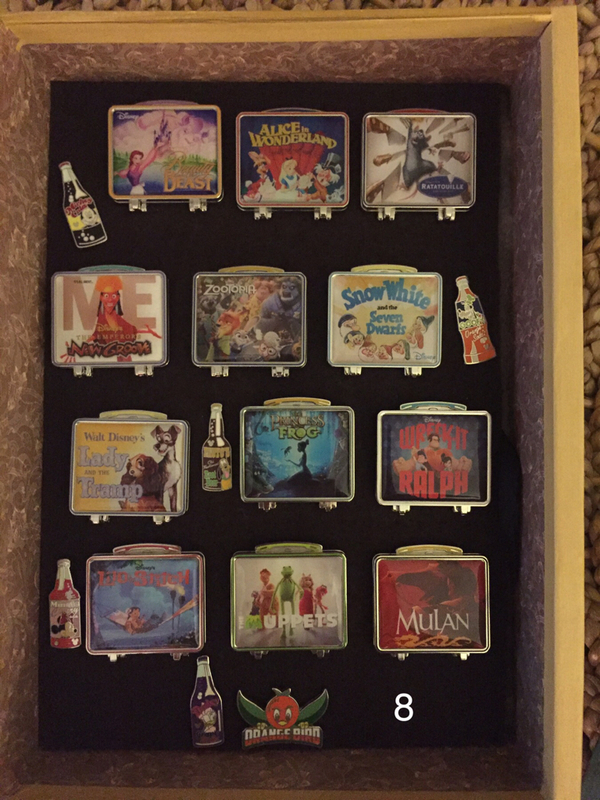 I got it from My D Pins, I think room hopping in February at Disneyana? Ocean7, cyke23, timeerkat and 4 others like this. 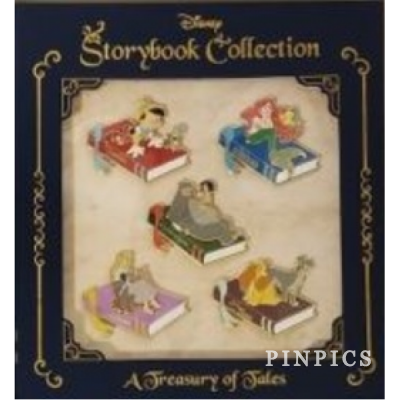 @starry_solo That book collection is gorgeous and that Scrooge pin is hilarious. @Booger1964 that Alice teacup set is absolutely gorgeous. 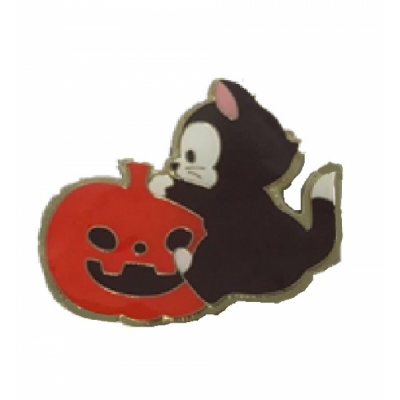 @timeerkat last year was a great year for you pin wise. 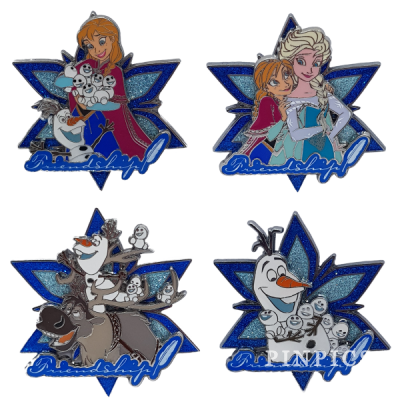 So many beautiful pins with the best designs and artwork. Wow, everyone has some great pins! It’s so nostalgic and interesting the Tiki bird was the beginning of animatronics for Walt. khossler, cyke23, slbrabham and 2 others like this. Thanks for such a wonderful game. It really made me think, and I had some consultation assistance from my daughter. 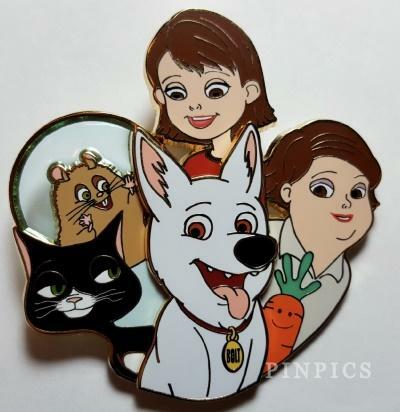 My favorite pins are centered around movies that I have enjoyed with my family. Big Hero 6 was one of the first movies we saw with my daughter in the movie theater, so it has a special place in my heart. 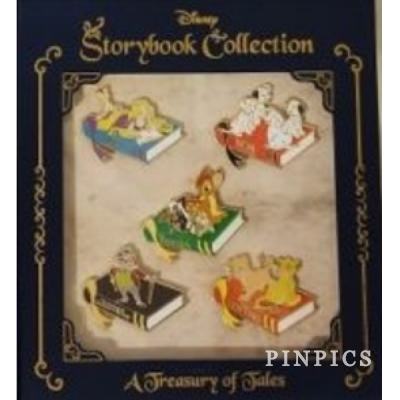 My daughter started to collect the pins from this Mystery Pack bags, and since we love Winnie the Pooh, this was our favorite pin to collect. I was gifted this set by @maiarebecca, and I was blown away by her generosity. 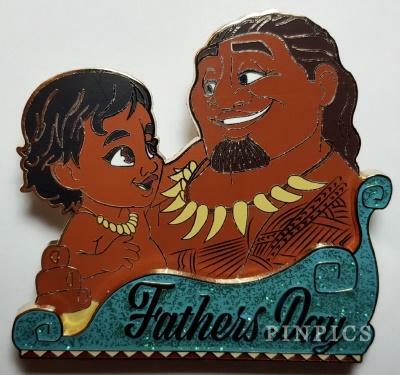 I love the movie Moana, as my family enjoys trips to Hawaii, and we saw this with my daughter and we love the movie as a family. 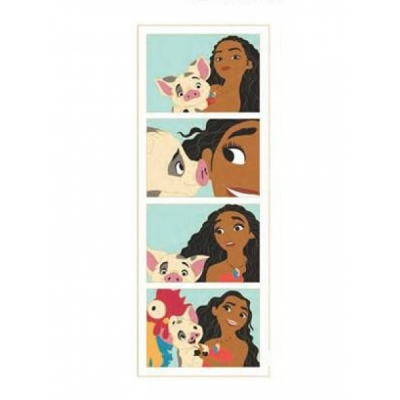 I love how this has Moana and Pua, with an addition of Hei Hei in the last frame. 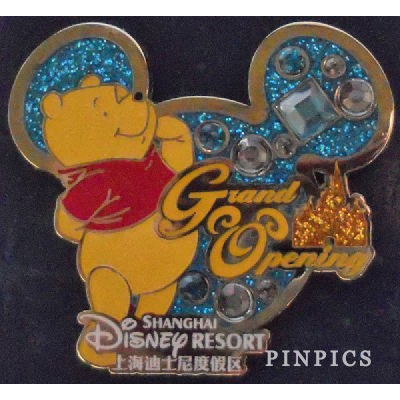 My daughter's first Disney movie was "The Many Adventures of Winnie the Pooh", so Pooh has always had a special place in my heart, and we worked towards collecting the SDR Grand Opening pins in 2018. The wonderful @MerlinEmrys and @Shelterkat helped me to complete this set. 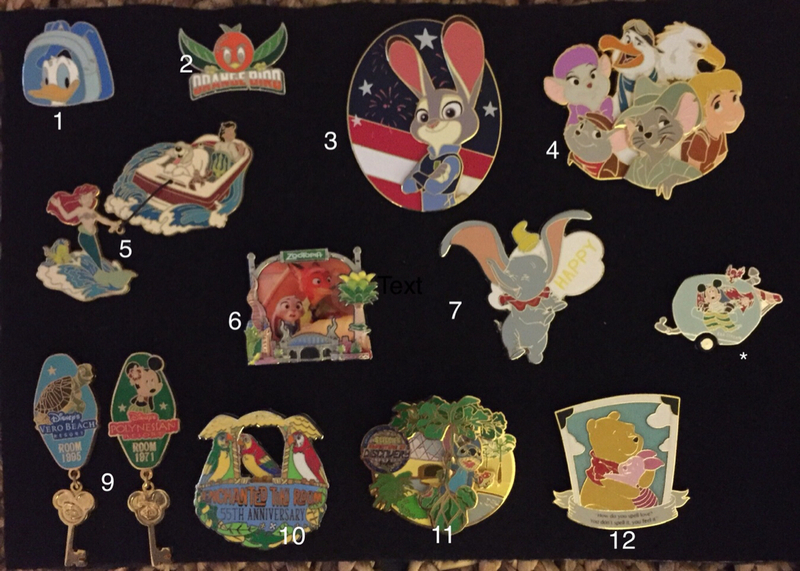 This set is what got me into collecting pins more seriously, in that we started to look to get the pin sets for the anniversary, and I went to look for the set from the prior weeks we had missed, and the rest is history. My PoDM pins are the ones that we hold dearest to our hearts, as we love the scenes we have in the ones that we own. We love the Sorcerer Mickey from Fantasia, so our Fantasia PoDM all feature him prominently. 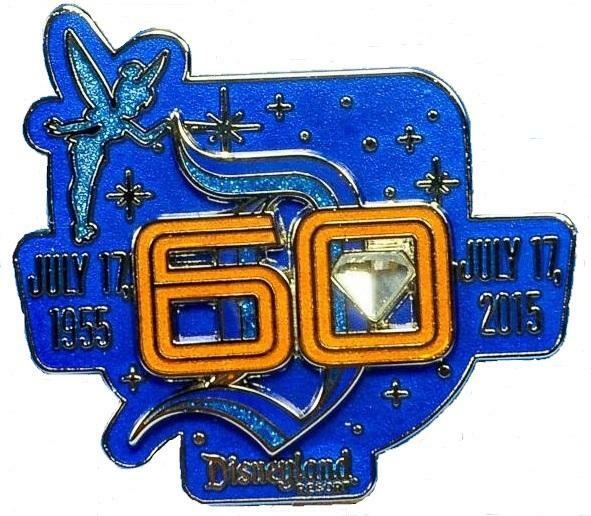 We had the privilege of going to DLR the year of its 60th anniversary, so we picked up several pins that celebrated that anniversary, so that is a sort of "side collection". I don't normally collect Bolt, even though I had enjoyed the movie. 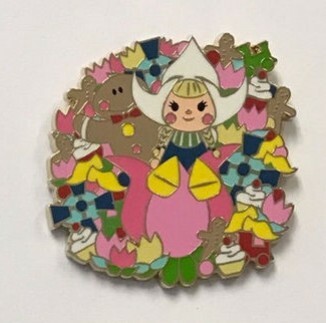 However, this was such a cute pin, and I wanted to get at least one of the WDI Character Cluster pins, so I went for this pin. cyke23, Ocean7, stitchismyspiritanimal and 1 other person like this. This is really kind of you to do this free game,Thank you! It takes my mind off being unwell ,I'm slowly recovering from being in hospital! 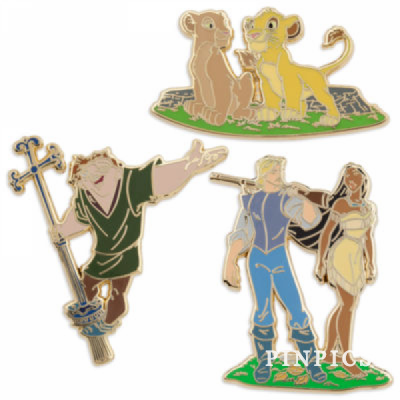 It's fun to think of all the great pins i love! 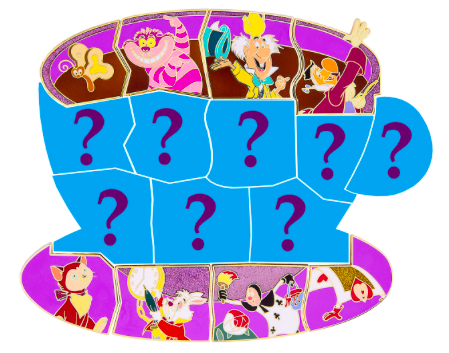 I love so many different characters and pins that it was REALLY hard to decide! Here's adorable little Oliver,Another favorite of mine!Pin 129099 . Given to me for Christmas by my wonderful friend Crystal,Poohlady5 here on DPF. 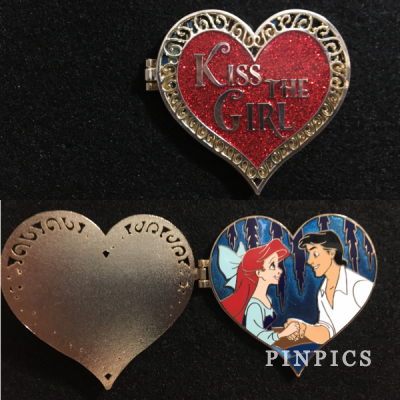 This is a really pretty pin 126864 of Ariel and Prince Eric ,I didn't buy this but i did have to part with some of my own pins for it in a pin auction here! 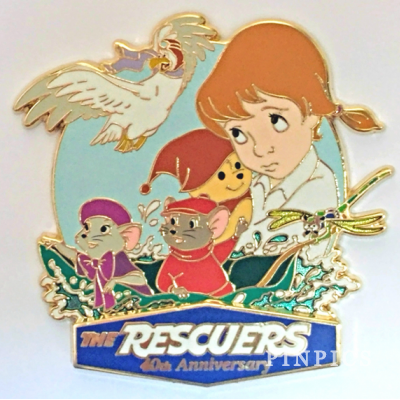 Pin 116782 WDI 60th Diamond celebration Bianca and Bernard from the Rescuers. 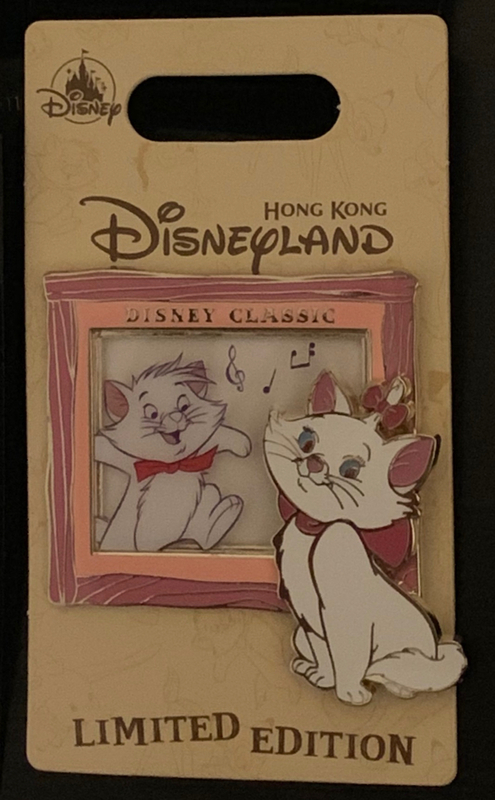 I love both Rescuers movies and this was given to me for my Birthday by my amazing friend Sara,Sorapandora here on DPF! DLP 25th anniversary Lady with castle ,She's super cute and it's very pretty! 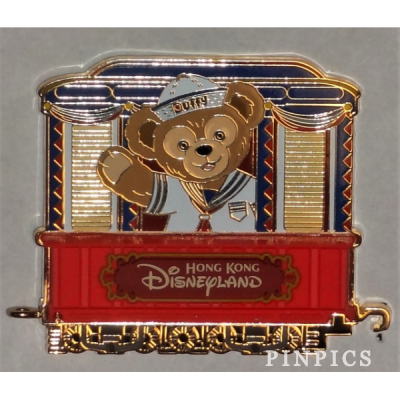 This a a fantastic Duffy pin from HKDL 132288 and i'm a big fan of Duffy! 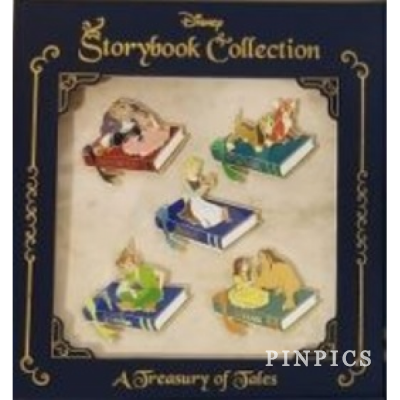 This is a set i really love because it has The Rescuers,Fox and the Hound and Bambi and Thumper.All movies that i like! 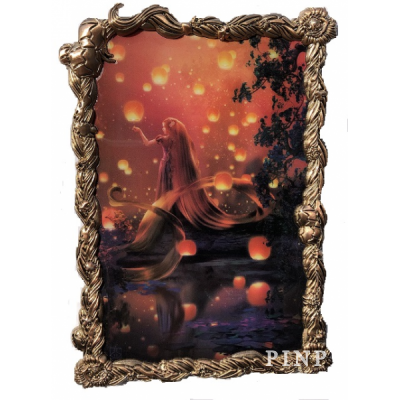 Dinah is so sweet and adorable in this fantastic pin 118238. 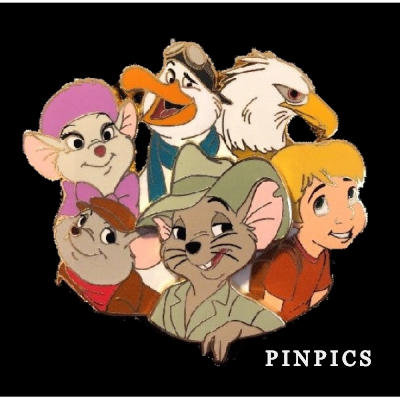 It's the Rescuers again ! Pin 124187. 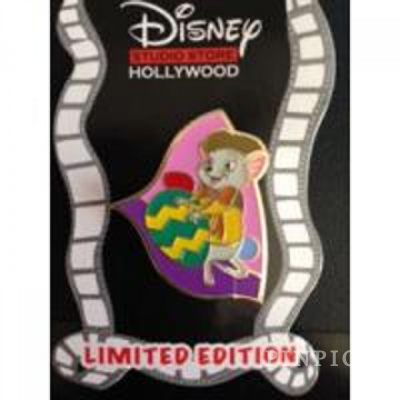 Figaro is such a cutie on this pretty pin! 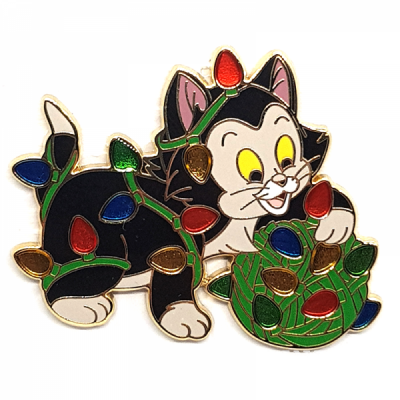 Pin 131919 Figaro tangled in lights. 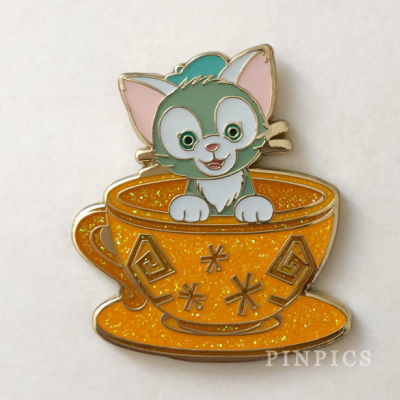 I don't have many Figaro pins so he's a side collection,At the moment anyway! cyke23, Ocean7, slbrabham and 2 others like this. 1. Favorite Mystery box: Ugly Sweaters Betamax #132558 hands down because well, isn't that the cutest ugliest sweater ever? 2. Favorite Mysery Bag: Jafar Genie Tsum Tsum #121887 Recently traded for this guy, he is super awesome all around, bigger than expected, spooky and just cool. 3. Favorite Pin that was Gifted: Doorways to Disney Star Tours #124521 Easy pick, @Ajk sent me the sweetest note with this zap, will always treasure it. 4. Favorite Pin I Splurged On: Acme Starry Night #114179 Shhhh, don't tell my husband. I bought this one during the sale Acme had on their LE 100 pins. It was a now or never moment. It's so beautiful! 5. 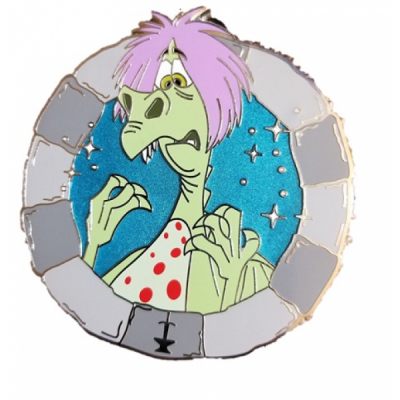 Favorite Limited Edition Pin: DLR Ursula as Vanessa #34939 I just acquired this holy grail pin last year, wooohoooo!! 6. Favorite Pin From a Monthly Release: Windows of Evil Mali #126969. This is definitely going to be one of my favorite series ever, and Mali was the one who started it. 7. 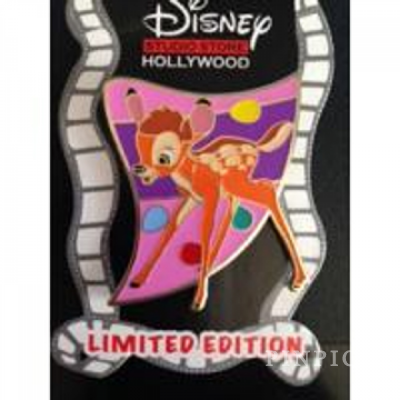 Favorite International Pin: HKDL Pin Trading Nights Zootopia #128984: Love Zootopia and this mini jumbo takes the cake. 8. 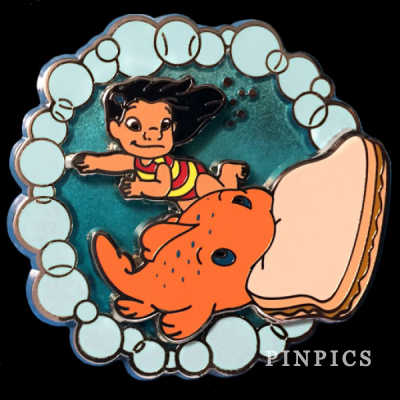 Favorite Completed Pin Set: HM Maui's Tattoos #131172: So glad we narrowed it down to 2018 because this would've been almost impossible to decide. Maui's tattoos are so cool they actually became my first hidden mickey set to complete. 9. Favorite Pin that Started a Collection: Loungefly Kronk Angel and Devil Set #129479 I gotta go with this set because although it really doesn't belong in a collection per se, it is the pin that started my Loungefly collection that has grown exponentially since then. 10. 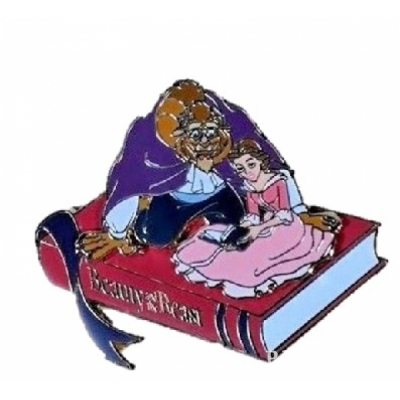 Favorite Pin From Your Main Collection: Sketching Our Love Batb #123558: I'm kinda cheating here as I don't have a Main Collection, I'm definitely the most unfocused collector here, but Batb is definitely a fav movie so I'll go with this amazing pin that I would save in a fire if I had to choose. 11. 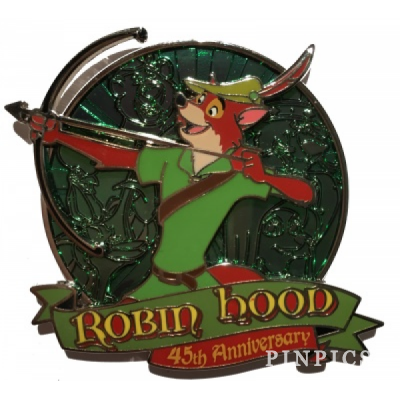 Favorite Pin from a Side Collection: Cast Anniversary Robin Hood #128504: Again, cheating as pretty much all my collection is made up of side collections. Robin Hood takes a top spot as it reminds me of my dad who loved to watch this movie. His favorite was hearing Alan-a-Dale sing so this pin is perfect showing both Alan-a-Dale and my favorite hero Robin. 12. 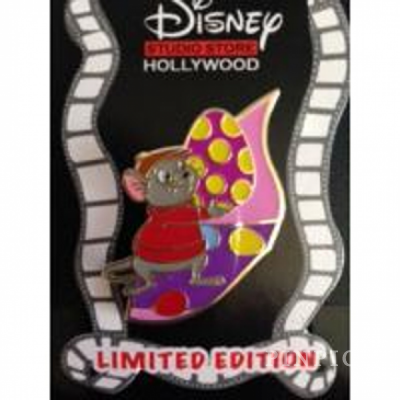 Favorite Pin that Doesn't Fit Into my collection: WDI Cluster Home on the Range #128409: I feel bad saying they don't fit but I choose this pin because it is pretty much the only Home on the Range pin I have and absolutely love it. PixiePost, cyke23, khossler and 4 others like this. The entries list is updated. I will post the new round of prizes tomorrow. Here is a preview. stitchismyspiritanimal, Ocean7, khossler and 4 others like this. Really?!? Just one?!? 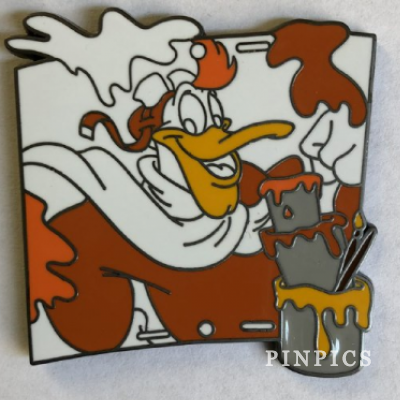 I think I’ll defer back to number 3 for the Mad Hatter Disney Shopping pin. Alice PODH. Mali WOE and Cheshire doughnut shop were strong contenders. 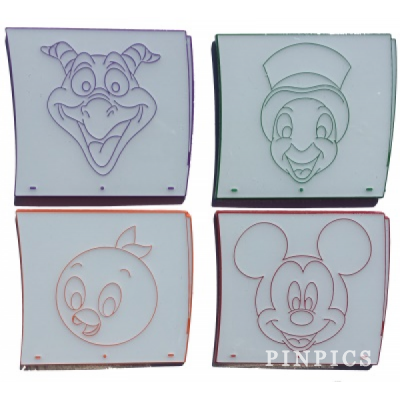 I’ll go with the Doorways to Disney set because it reminds me of going to Disneyland. 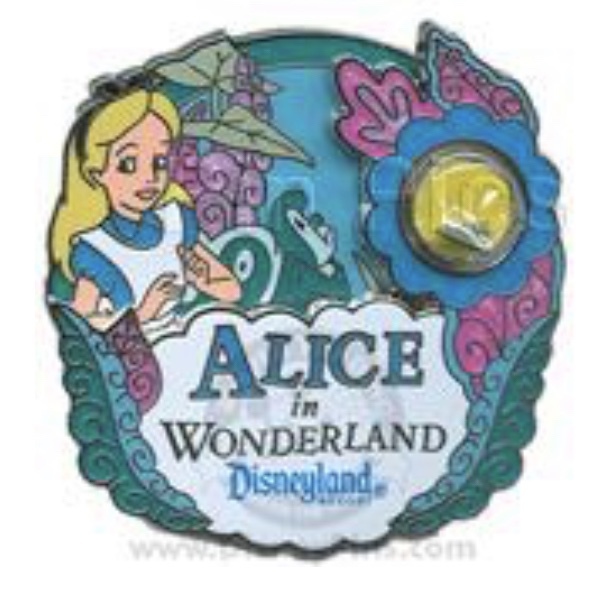 Mad Hatter Disney shopping pin - again! timeerkat, summerskin, cyke23 and 4 others like this. cyke23, timeerkat, AshleyV and 2 others like this. Entries updated as well as the round of prizes. If we can get to 22 entries(which is just two more) in the next three hours, I will add another prize. If we can get to 25 entries, I will add something from my WDI/DSSH High Level traders. mickeymousje, stitchismyspiritanimal, watzshakinbacon and 1 other person like this.